Pharma Franchise for Dry syrups – SwisscheM Healthcare is the prominent Pharma Franchise Company. We are known for supplying the most effective Dry Syrups range in all over India for many years. We have set a benchmark in Pharmacy industry through our intense hard work and frequent improvement. Hence, we are the first preference of many people, who seek for reliable Pharma Franchise for Dry Syrups. 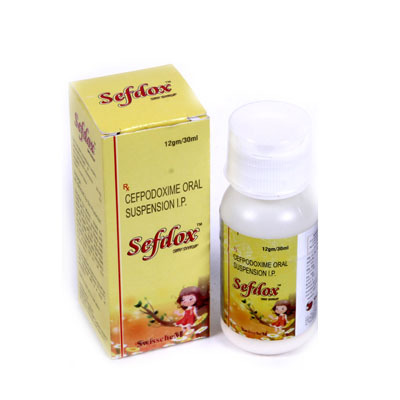 The company is highly responsible for delivering the Pharma products safely. We forward our helping help whenever there is a dire need of protection against breakage and leakage for Antibiotic Medicines, products, Drugs, Pharma products etc. At SwisscheM Healthcare, we aim to deliver the best Pharma product at pocket-friendly prices. We are associated with the most reliable team of the manufacturer, packager, labeler, and transporters, who holds a year of working experience in the respective domain. They make use of right techniques of packaging to ensure the leakage and breakage proof delivery of any product. Moreover, our linked transported are also authorized and highly experienced in terms of delivering the medicine safety to the desired destination. All the products are thoroughly examined by our quality checker before its final dispatch. Our USP is to satisfy our customers and provide them desire result. If you are also seeking for the best Pharma Franchise for Dry Syrups then we at SwisscheM healthcare are delighted to provide you our unmatched services. SwisscheM Healthcare is the top-notch pharma franchise company, established itself for many years. We are not only specialized in delivering the pharma product but also in manufacturing, supplying and delivering antibiotic, anti-allergic, antibacterial medicines. Our manufacturers make use of the best drugs and chemical to formulate a specific medicine. Before supplying any medicine, we thoroughly mentioned the expiring and manufacturing date of medicine on it, so that a person could see and consume it accordingly. Being a leading Pharma Franchise company, we aim to deliver the quality service to our customers. We work closely with our franchise partner to know their requirements and works accordingly. Apart from this, we have sophisticated infrastructure facility so that our employees could get proper working environment and give the best of them. What makes SwisscheM Healthcare best for Pharma Franchise of Dry Syrups? Every company has their own strength. But, when we talk about a trusted company there are only a few existed in the market. The technology is upgrading rapidly. Every company is now busy in performing their everyday tasks. Nobody is upgrading them just as according to the technology. But, we had taken a call that makes us best amongst all. Assurance of manufacturing and delivering the product promptly. Reliable in terms of making the trust of our clients. Make use of cutting-edge machinery to formulate specific products. Transparency in work so that our clients can inspect any department, anytime. Frequently seek latest techniques and market trend to upgrade our working style accordingly. The manufacturer is not bounded to make only Dry syrups, they could explore themselves in making other drugs or medicine as well. Already maintained goodwill in the relevant market. Dry Syrups are widely demanded from many years. It is quite helpful in making syrups portable and secure as well. SwisscheM Healthcare has the capability to formulate GMP and WHO Certified syrups within the specific time frame. It is mostly for pediatric use. Hence, it is widely demanded in India. If you are also looking for the best Pharma Franchise Company nears by your locality then choosing SwisscheM Helahtcare is the right decision ever. You can contact us at the below-mentioned contact details for any query.